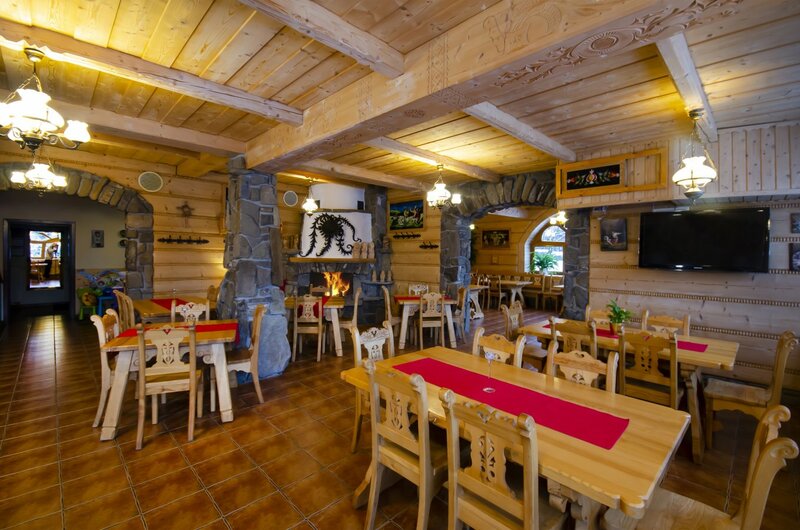 The restaurant of Zakopiański Dwór is the most important part of the pension. 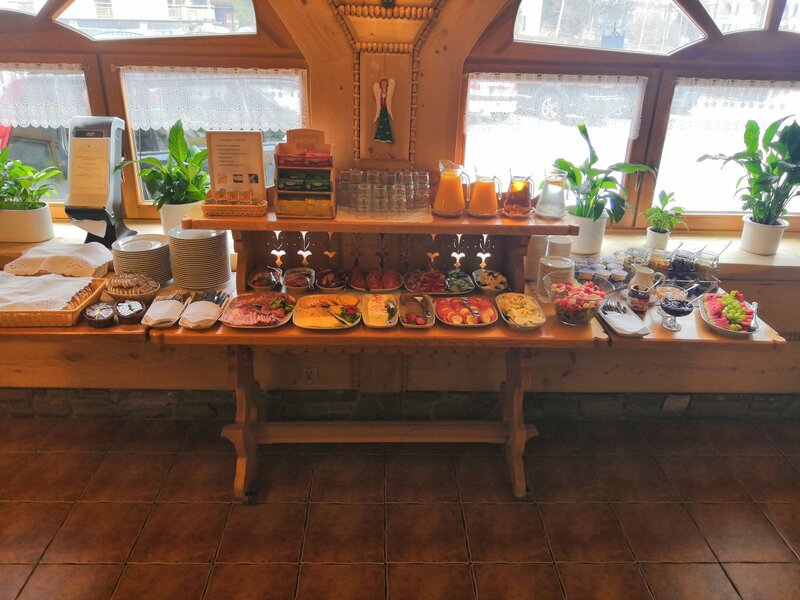 We are committed to make sure that an enjoyable stay is inseparably connected with great satisfaction and the taste of our meals. 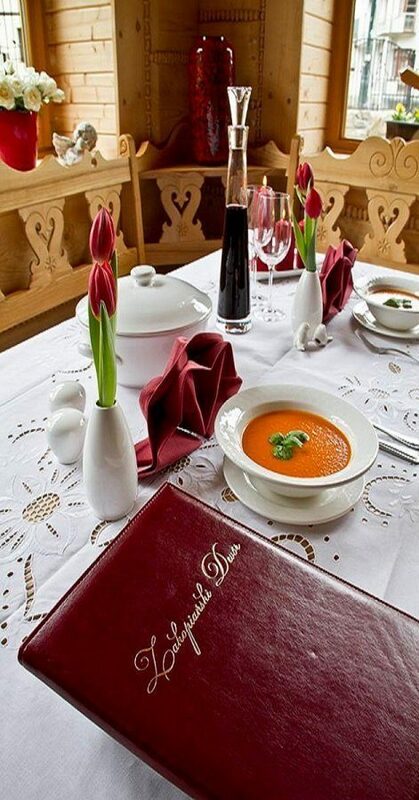 Our restaurant specializes in regional cuisine, we recommend dumplings made in the house and tomato cream made from our vegetables. 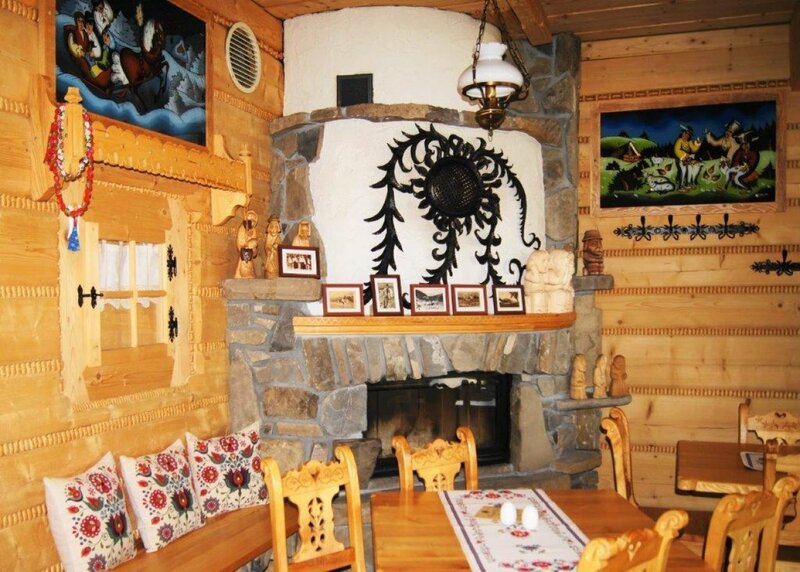 The interior has been decorated in traditional style with wooden finishings. 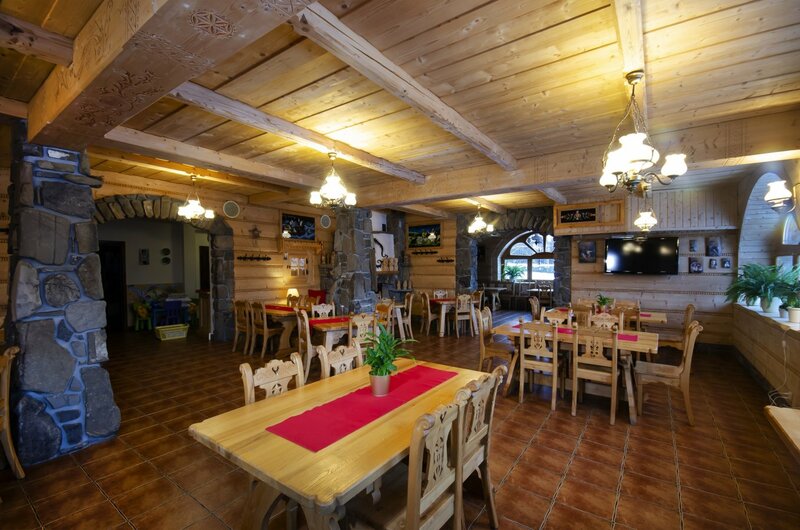 The bar, tables and chairs, as well as architectural elements are decorated with handmade patterns inspired by the regional tradition. 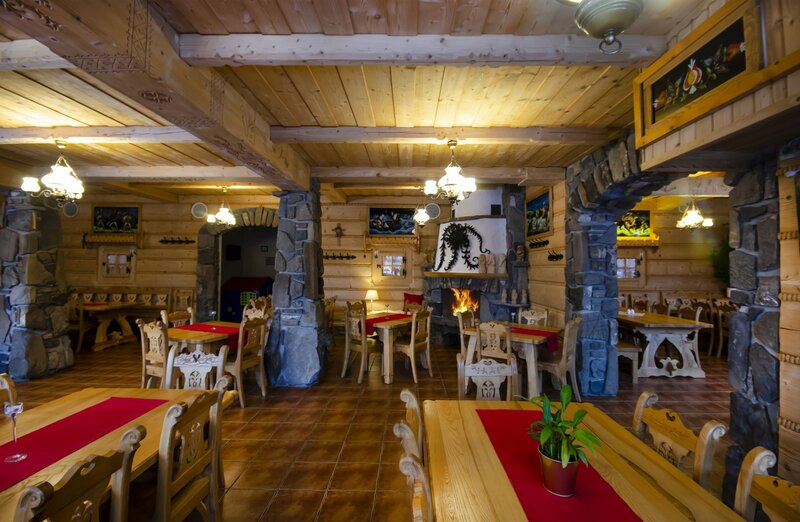 The element which makes the restaurant even more amazing is the fireplace. 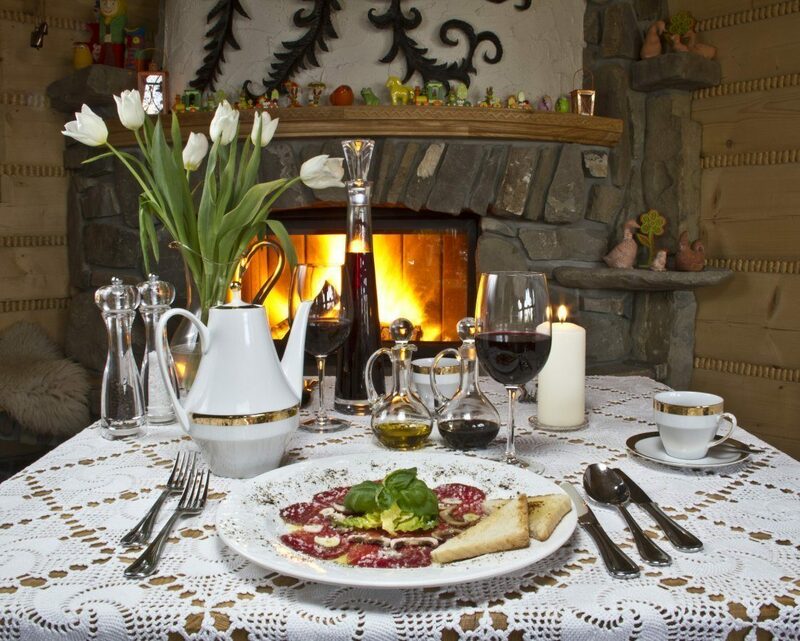 Traditional ornaments and the warmth which fills the entire room, turn every moment into an unforgettable experience. We pay great attention to the aesthetics of the served courses. 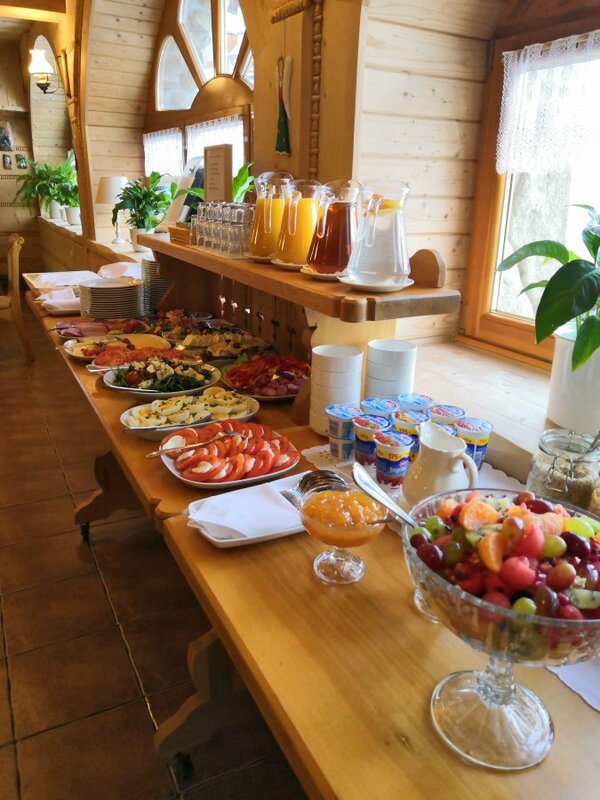 For the sake of high elegance, traditional wooden tableware was replaced with exquisite contemporary dishes. 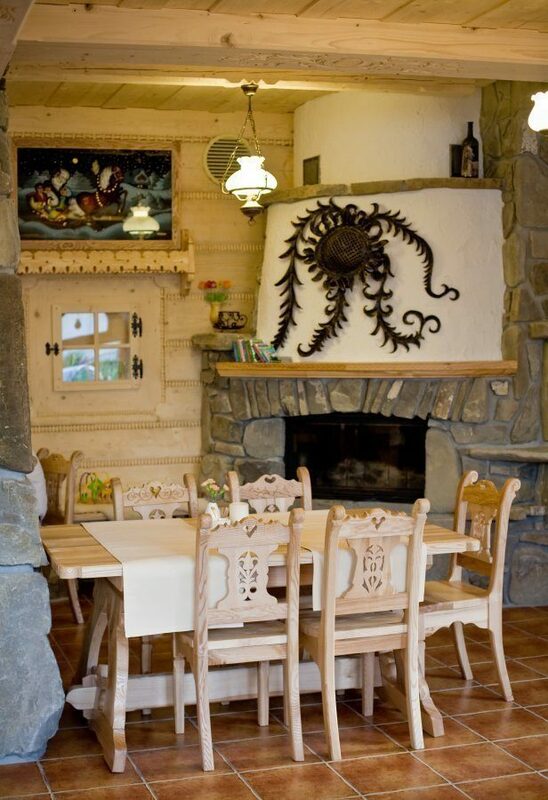 The restaurant, which truly reflects the character of Zakopane, is a perfect place for Goral evenings. 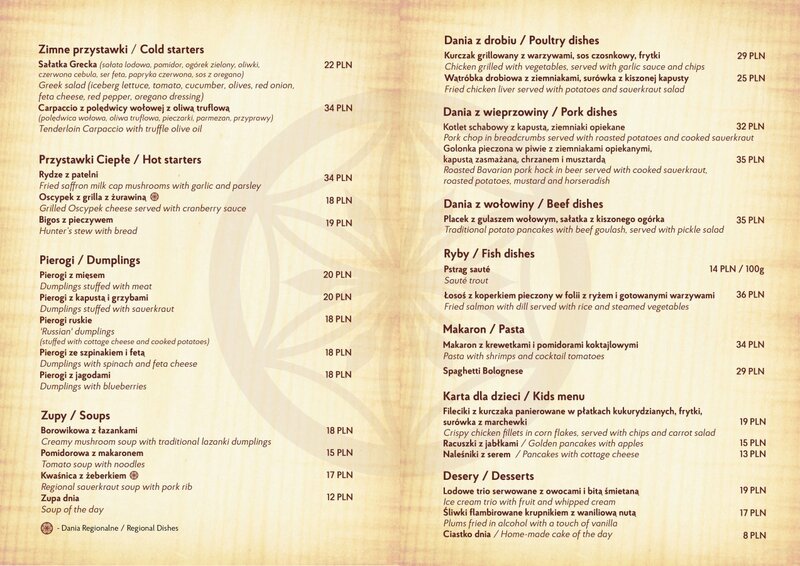 Unique taste, delicious meals, cosy atmosphere…. 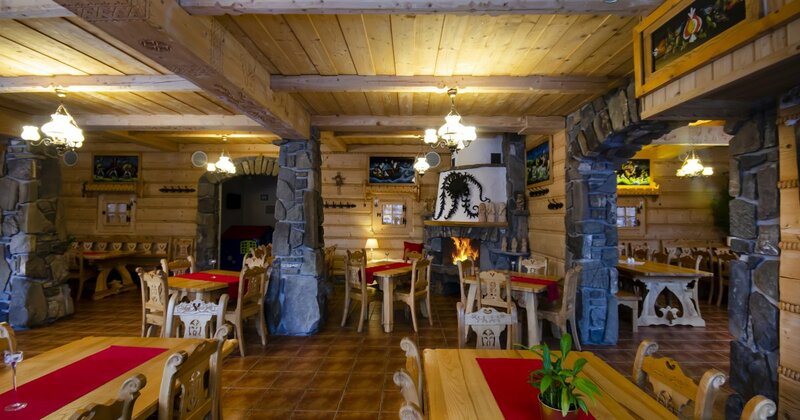 you will find it all in Zakopiański Dwór Restaurant. 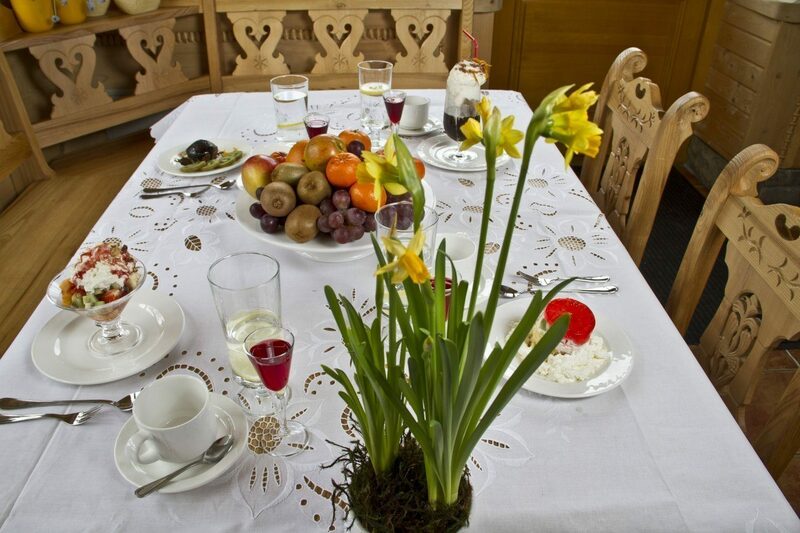 In a traditional highlander interior, we will help you arrange important events - special events which require unique setting. Smoking is prohibited in the entire building, including the restaurant. Smokers are invited to special smoking areas in front of the restaurant entrance. 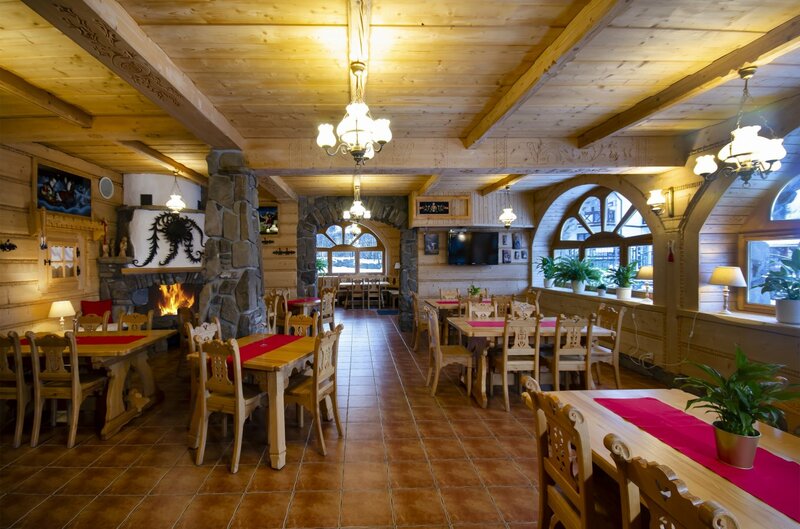 The restaurant is open from Tuesday to Sunday, 13:00-20:00.